The House bill was introduced shortly after officials from 21 states filed suit in federal district court to block the changes. 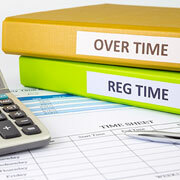 The final overtime rules make significant changes to the Fair Labor Standards Act (FLSA). They increase from $455 a week to $913 a week the standard salary level used to determine whether executive, administrative, and professional (EAP) employees are eligible to receive overtime. They also include a mechanism to automatically update the standard salary level requirement every three years, beginning on January 1, 2020. However, the rules don’t change any of the existing job duty requirements to qualify for exemption from overtime. The 21 states in their lawsuit allege that the DOL revisions will be costly to employers and that the department should have looked at the duties test to determine whether changes are needed to the type of work that should be eligible for overtime. In addition, the suit says that automatically adjusting the salary level every three years without Congressional review violates federal law and disregards current economic conditions. The Chamber of Commerce filed a similar complaint which states that the new salary level is so high that it “is no longer a plausible proxy for the categories exempted by Congress,” and, that as a result, the exemption will effectively be lost for entire categories of EAP employees. The NFIB — an independent association that advocates for small businesses — says the only solution for its members is for an owner or manager to spend a substantial amount of time to comprehend and implement the final rule, which takes away from the time that they spend on other business matters. Juanita Duggan, President of the NFIB says that “many thousands of small business owners will find themselves suddenly out of compliance and in jeopardy of fines and litigation” if the effective date of the final rule is not extended. Despite all of the opposition, the start date for the new rule is still currently scheduled for December 1. Consult with your payroll advisor to help ensure your business is ready to comply with the deadline.